SEO articles have been in demand because it always helps you in getting highlighted amongst the viewers and the search engines alike. 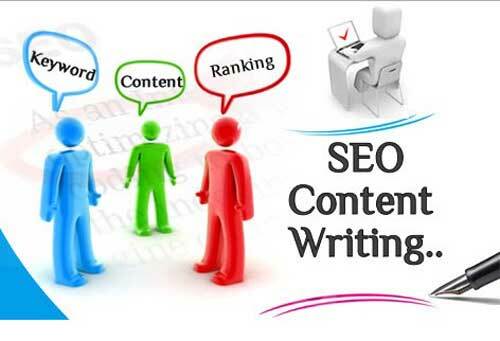 When we are discussing about SEO articles then it includes various factors like keywords along with great content. But when you are incorporating keywords in your articles you have to do it moderately. There is a certain percentage that you need to follow for the keywords. Therefore, if you overdo it, then your article might not get that attention instead there are high chances that it would be categorized as spam. The main aim of SEO articles is to make the search engines aware of your existence. Thorough research of keywords – The first and foremost thing that you have to do for SEO articles is to find yourself some of the relevant keywords. In order to know whether the keywords will be effective or not you can use some tools that will help you with the check, Keyword competition can be checked through the tools that are made available online, then write the content which will be unique to your site. Another thing while selecting keywords that you need to know is what the customer types in when they are searching for your service and product online. Forums are also good sources of gathering ideas for the keywords that you want to use in your content. Density of keywords – This is the most common word that you will hear when you are discussing about keywords. It is very important that you maintain the density of the keyword so that you don’t end up cluttering your articles with loads of it. The best practice is to maintain 1% of keyword density, but in case you are not able to do that then make sure that you are not crossing the limits of 4%. If you can keep it below 4%, then it will help you a lot. Keywords are important, but when you overuse it, then it will become a problem for you. Therefore, use it as per the best practice for search engine optimization. Keywords in the headers and sub headings – It you are trying to emphasize on keyword search then you must incorporate keywords in the headings as well as subheadings too. This way the search engine will find it easier to find your content and even the readers will have an organized article to read on. Without sub headings it becomes very difficult to concentrate on the article online. Even search engines look for keywords in the sub-headings. Meta Description and the keywords – When you are writing the meta description for the article then you must incorporate the keywords there. Meta Description is a good way of getting yourself highlighted and when you add relevant keywords then it is even better for you. Search engine gives enough emphasis on Meta Description so to enhance your search do incorporate keywords in here. « What is SEO and its benefits?